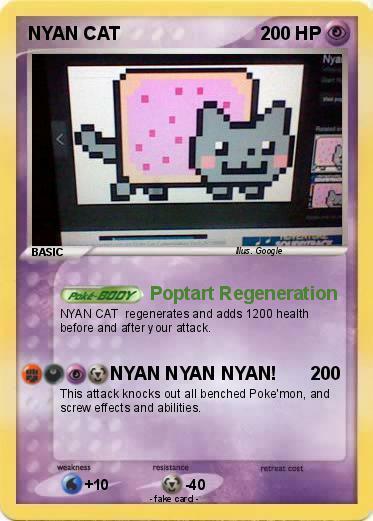 NYAN CAT regenerates and adds 1200 health before and after your attack. Attack 2 : NYAN NYAN NYAN! This attack knocks out all benched Poke'mon, and screw effects and abilities.